On 21 August, more than seven million people across the US are expected to witness the first total solar eclipse to cross the North American continent from ocean to ocean since 1918. Due in part to some cosmic geometry, the Moon will momentarily obscure the Sun and cast a lunar shadow across the Earth's surface, blanketing parts of the US in darkness, causing temperatures to drop and illuminating stars and planets in the middle of the day. The last time the US experienced a solar eclipse was 1979, but it has been 99 years since the celestial event crossed the entire continent. The 2017 eclipse will also mark the first solar eclipse exclusive to the US since before the nation's founding in 1776, experts say. The Moon travels between the Earth and Sun about once a month. However, due to its tilted orbit - compared to the Earth's orbit around the Sun - the Moon is usually too high or too low in the sky to directly block the Sun's light. But once about every 18 months during the new Moon phase, it lines up directly between the Earth and Sun, creating the conditions for a solar eclipse. The celestial phenomenon, or coincidence, occurs when the Sun, Moon and Earth all align at just the right point in the Moon's orbit, giving the Moon the appearance of being the same size as the much larger Sun. The Sun is actually 400 times wider than the Moon and also 400 times farther away. As the Sun's powerful rays disappear, its outermost atmosphere, known as the corona, becomes visible to the naked eye and creates a ring of fire around the Moon's disc. The darkest part of the moon's shadow - the umbra - causes a total solar eclipse. The lighter part - the penumbra - is where only a portion of the sun's light is obscured, causing a partial eclipse. Why do we associate eclipses with the end of the world? How do I see it safely? The Sun's rays are so powerful you can feel their warmth from 150 million km away, which is why staring into the Sun too long could cause serious eye damage. It allows ultraviolet (UV) light to flood the retina and burn the light-sensitive cells, and since there are no pain receptors in the retina to trigger what is happening, it could cause permanent blurry vision and blindness. A Pennsylvania school district has gone as far as scrapping recess during the solar eclipse over concerns that students could suffering eye damage from looking at the sun. Scientists have cautioned that anyone watching the eclipse should wear protective eyewear. Take measures to make sure you are not causing long-term damage by purchasing a pair of special eclipse glasses, which block out more than 99.9% of the Sun's light, or a pair of binoculars fitted with a specialised solar filter. You can also construct a pinhole viewer, which projects the light onto a piece a paper, by using a cardboard box, a sheet of white paper, aluminium foil, a craft knife, scissors, a drawing pin, duct tape and glue. But glasses can - and should - come off during totality, when the Sun is completely blocked. Onlookers can spot the corona, the crown around the Sun as it radiates from the Moon's black disc, and Regulus, a nearby bright star. If conditions are perfect look for Jupiter, Mars, Venus and Mercury, which could be visible, as well as surrounding sunset colours. When will it be near me? An estimated 12 million people live in the eclipse's path totality, a 70-mile (112 km) swath of land between Oregon and South Carolina during which the sun's disc is completely masked by the Moon and the day slips into night. Another 18 million people are within a short drive of catching the view while an additional 500 million people will be able to glimpse a partial eclipse from other areas in the US, Canada, Mexico, parts of South America and north-western Europe. 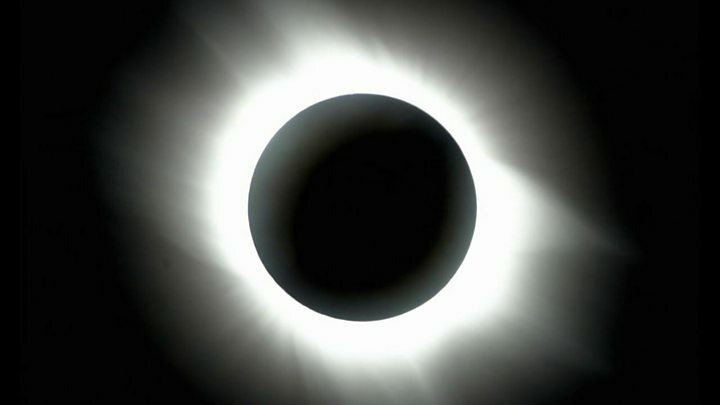 The total eclipse is scheduled to begin at 10:16 local time (17:16 GMT) in Government Point, Oregon, travelling across Idaho, Wyoming, Nebraska, North Carolina, Georgia and South Carolina, where it will end at 14:48 local time (18:48 GMT). 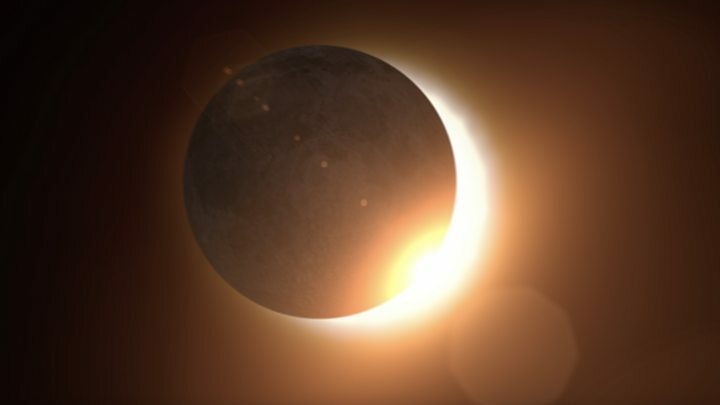 But the celestial show really begins earlier than that - viewers in Oregon will start to enjoy the partial eclipse at 09:05 local time (16:05 GMT). Your browser does not support the eclipse calculator. What's the best place to see it? The amount of time each place in the eclipse's path of totality will be shrouded in complete darkness depends on the speed of the shadow at that time. For those watching on the edge of the path, the duration of totality will be shorter. For example, those standing on the very edge of the path may only experience seconds of darkness. The tiny of town of Carbondale, Illinois, will be treated to the longest eclipse duration - about two minutes and 41 seconds of total darkness. But even the best spots to watch the eclipse depend on good weather and clear skies. How do I watch it online? 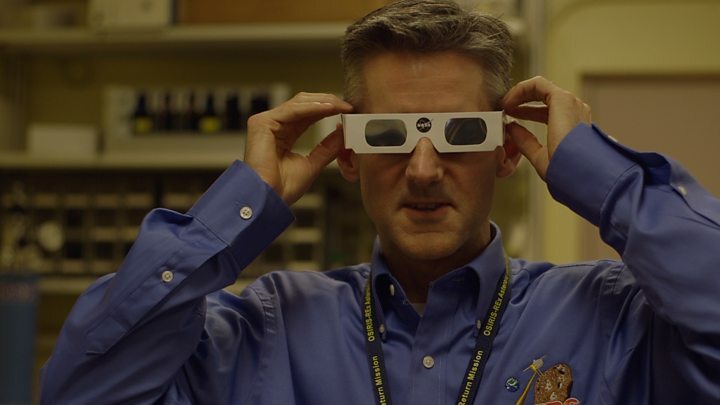 If it is too cloudy to spot the eclipse or you are stuck inside during the cross-country sweep, the BBC will be showing the celestial show on its Facebook page, with Ben Rich from the Royal Astronomical Society on hand to answer your questions. Nasa is streaming the event live on its website, Facebook, Periscope, Twitch, UStream, NASA TV and the NASA YouTube channel. Students from the Eclipse Ballooning Project, a group of high school students, colleges and universities and Nasa scientists, are planning to place 57 cameras on weather balloons for a high altitude view. Meanwhile internet-connected telescope service, Slooh, which partners with observatories worldwide, will stream the event from a telescope in Stanley, Idaho - which stands directly in the path of totality. Startled by the dramatic shift in light and temperature, some animals have reportedly changed their behaviour to reflect the twilight hours during a solar eclipse. Owls may start to call, crickets could start chirping and birds may go to roost. But much of what is recorded about animal behaviour is anecdotal evidence, making it unclear exactly how certain animals may react. A study published in the Journal of Fish Biology in 1998 found that daytime fish in reefs near the Galapagos swam to shelter during totality while nocturnal fish were more likely to emerge. A study observing orb-weaver spiders during a 1991 eclipse found the insects taking down their webs during totality, only to re-spin them once again after the eclipse. Doug Duncan, an astronomer at the University of Colorado-Boulder, witnessed a flock of llamas appear during a 1994 eclipse in Bolivia before they disappeared once daylight returned. Mr Duncan, who has experienced 10 total solar eclipses, also said he watched a group of whales and dolphins surface during an eclipse over the Galapagos. Typical house pets like cats and dogs work on a body clock, which means they likely will not be affected by the Moon's shadow. With the fleeting cosmic event lasting a mere few minutes, the darkness is likely to cause nothing more than a moment of confusion for domestic pets. In 1932 the Boston Society of Natural History observed animals during a total solar eclipse that lasted 10 minutes and found half of dogs observed appeared frightened. Since solar eclipses occur roughly once every 18 months, the next one is slated to appear on 2 July 2019 over a wide stretch of the Southern Pacific, before crossing Chile and Argentina. The next total solar eclipse on US soil is scheduled to occur on 8 April 2024, but it will not stretch from coast to coast. Instead, that eclipse will stretch from Texas to Maine.